St James’s Park is one of most pleasant open-air places to visit in central London, a beautiful open space between Trafalgar Square, Parliament Square and Buckingham Palace. From 1915 to 1920, it looked rather different. Most of the lake was drained and temporary government buildings constructed in the park. The modern BBC photo below shows roughly what the view looks like today – the Foreign Office is the large building at the bottom of the park in this view (next to the Treasury with its distinctive round courtyard). 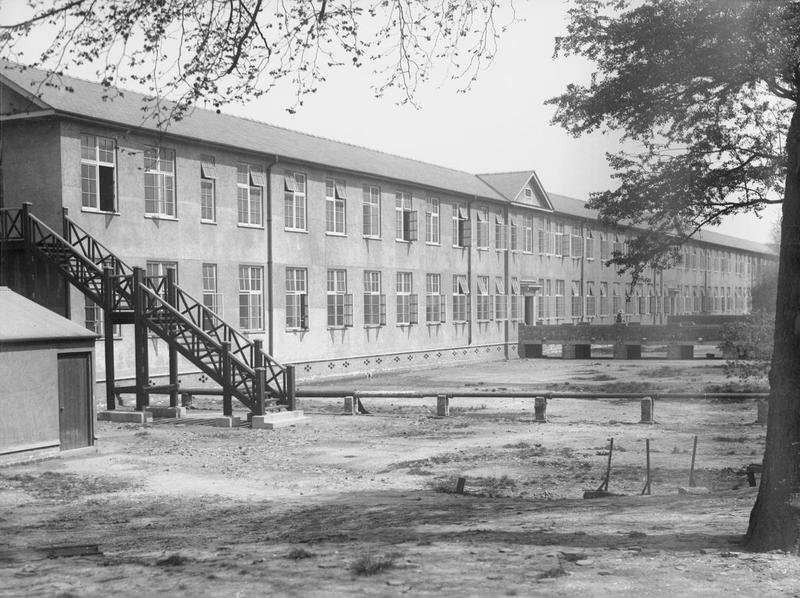 The buildings were mainly wooden, but by 1917 a shortage of wood led to buildings being constructed of bricks and mortar. 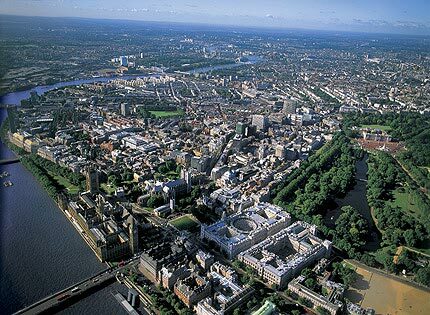 Then take the east of St. James’s Park. There are offices there alongside the Mall. I walked along there a few moments ago, and I saw that the first establishment was the War Office Mobilisation Department. Why the War Office want a mobilisation department there, when they did not want one before the war, passes my comprehension. The next two sets of buildings are occupied by Admiralty officials. Why we want an increased number of Admiralty officials when the German Navy has either been sunk or distributed, and there is no prospect of our requiring a large Navy in the immediate future, is again beyond my comprehension. …If you go over the bridge in St. James’s Park you see on the right the Ministry for Shipping, and on the left a horrid, offensive eyesore, a sort of restaurant in which waitresses appear to be waiting upon each other at all times of the day. It hides one of the most beautiful pictures which we possess in London, and the building seems to me to be one which ought to be quickly removed. A little nearer the Westminster end is another establishment which was not required before the war. We were then able to issue passports under a system by which undesirable aliens were prevented from coining into this country, without having to put up a building, and occupy it in the lake of St. James’s Park. It seems to me that we ought to revert to the pre-war system rather than continue to occupy with a Passport Department a space in the middle of St. James’s Park. …and to Buckingham Palace in the other direction. It looked very different in 1920 with government offices and a canteen in the way!